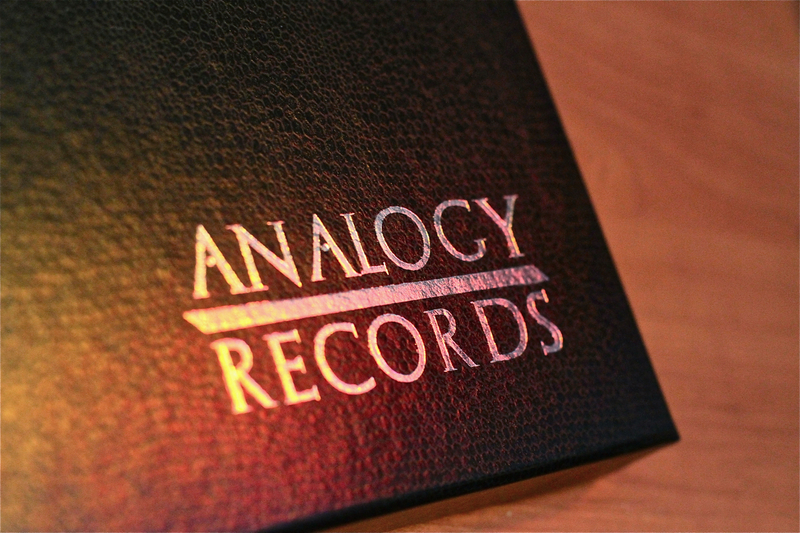 Analogy Records Premium Line, fully customizable. 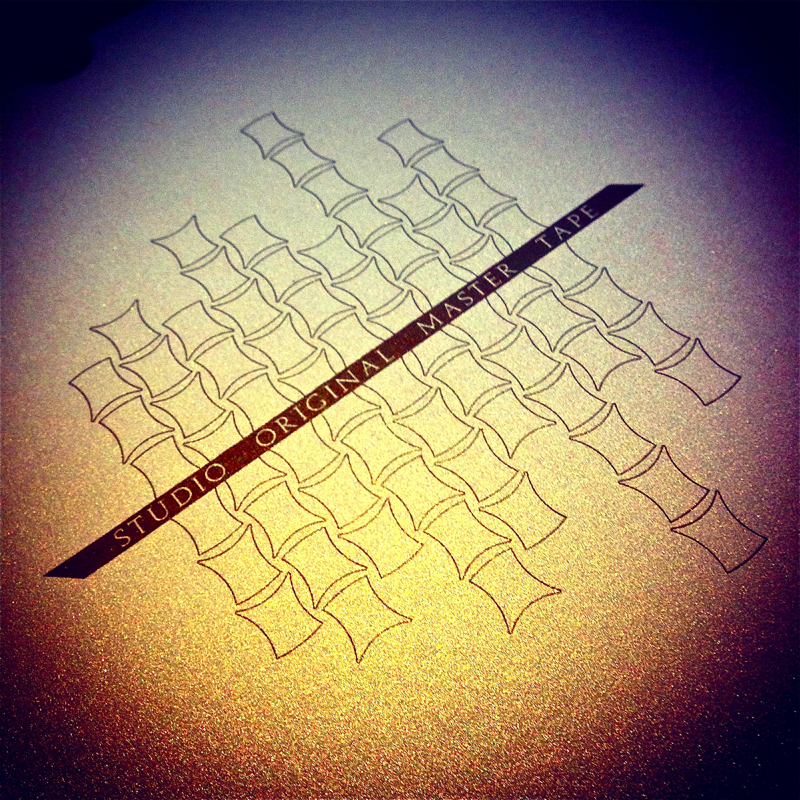 Our custom, hand made collector box. 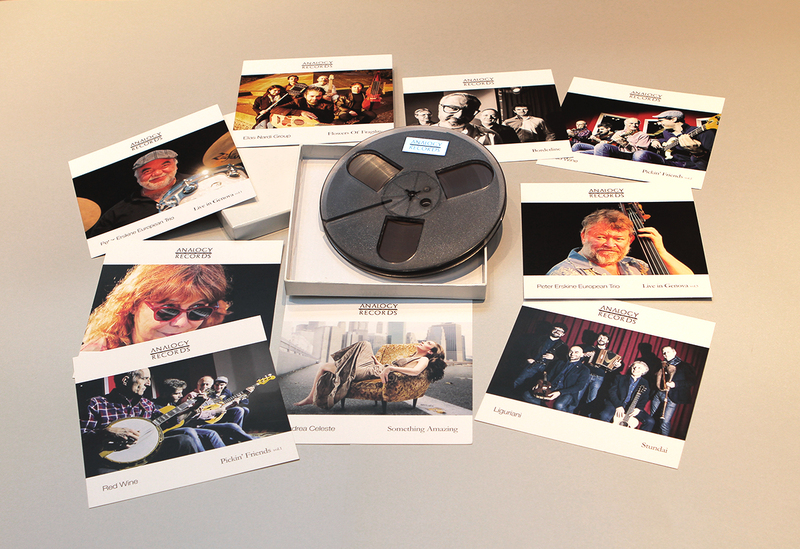 Our exclusive design aluminum reel. 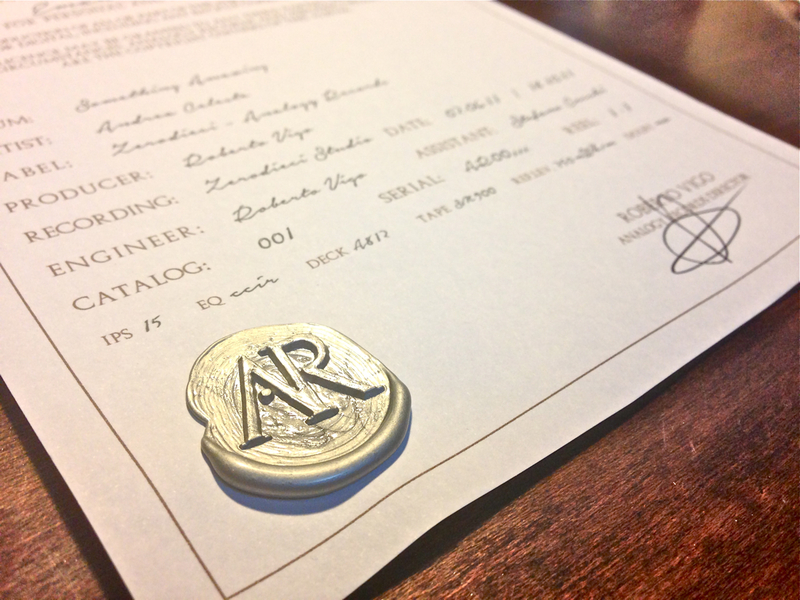 The Exclusive License with the wax seal. 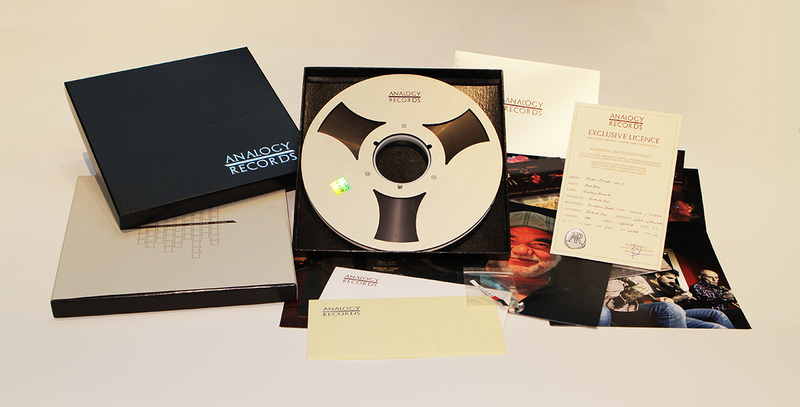 Analogy Records Basic Line, stock, high quality products. 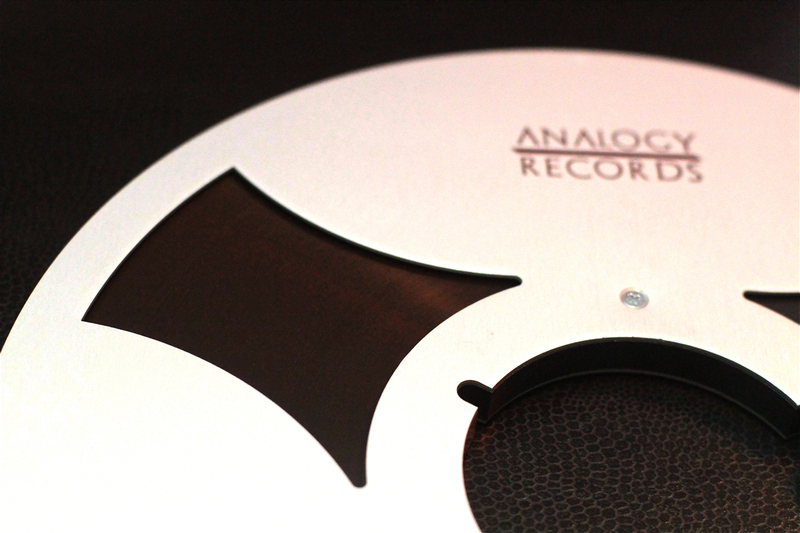 Plain box, 18cm plastic reel, album cover and track list, available at 7.5ips, 2 or 4 track format.